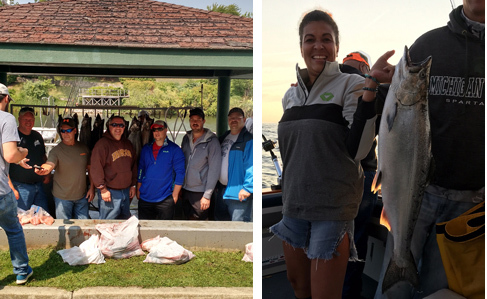 The Michigan Pest Management Association (MPMA) held a charity charter fishing tournament on Saturday, Aug. 19, 2017. Five boats with approximately 25 pest management professionals went out on Lake Michigan early Saturday morning. “This nice break from the busy pest control schedules of summer was a welcome one, along with some friendly rivalry and a lot of good-natured ribbing for the unlucky few who didn’t catch their limit,” notes Pamela Blauvelt, MPMA Board vice president and Griffin Pest Solutions’ vice president of operations. The group raised more than $1,800 for the MPMA scholarship fund. Dow AgroSciences, Univar and Zoecon also contributed to the cause.